The finalists for the 2018 Designers Institute of New Zealand Best Awards have been announced and we’re excited to see two our projects among them. We are delighted that BNZ’s Wellington Partners Centre has been shortlisted for ‘Office & Workplace Environments, Between 200 and 1000 square metres’ while Suncorp New Zealand’s Head Office has been shortlisted for ‘Office & Workplace Environments, Over 1000 square metres’. The BNZ Partners Centre was designed following the devastation caused by the 2016 Kaikoura earthquake in Wellington. It was an opportunity to deliver something new for BNZ's people and customers and show the resilience of the bank in the face of adversity. 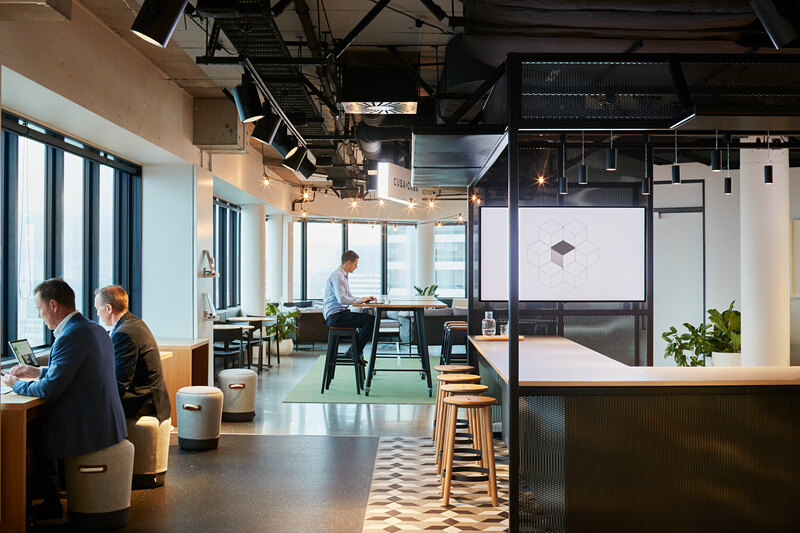 The space is the latest iteration of the BNZ Partners Centre concept and the next leap in tailored customer-centric service for BNZ. The playful yet highly functional space brings Wellington city’s vibrant culture to the Partners Centre, with a variety of worksettings representing notable landmarks and street names. Inspiring collaboration, communication and networking, and the bumping of like-minded individuals to build businesses and networks, the new Partners Centre is a space where BNZ partners and their clients can work together. For Suncorp we designed and delivered a five-floor transformation in the heart of Auckland as part of the ‘Connect Auckland’ project to reconnect their people, brands and businesses. Through adopting an activity based model with unassigned seating, Suncorp was able to reduce their overall footprint by 42%. A central staircase became the physical manifestation of ‘Connect Auckland’, enhancing the notion of connectivity with staff visibly coming and going. To encourage movement each floor has been designed as a ‘destination’, offering specific functionality including social breakout spaces, IT helpdesk and training suites. Harry Rowntree, Regional Principal, Design says, “We are so proud these projects have been recognised in such prestigious industry awards. These results are the culmination of months of collaborative, dedicated efforts from our strategy, design and delivery disciplines working hand in hand with our clients". The Designers Institute of New Zealand Best Design Awards is an annual showcase of excellence in design. Winners will be announced at The Best Awards 2018 ceremony to be held at The Viaduct Events Centre on 22 September.